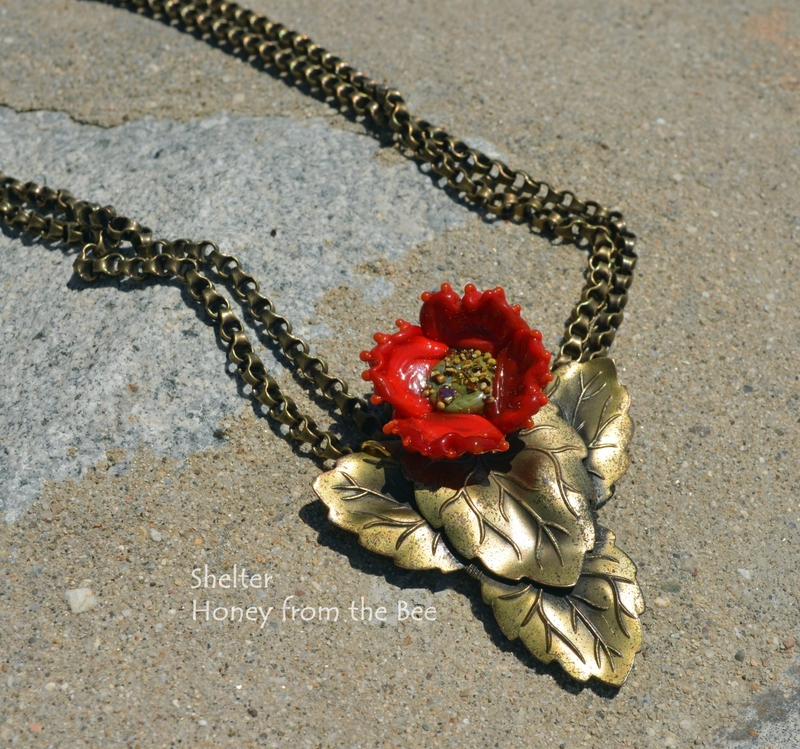 Using another vintage buckle in my collection, I created this Red Poppy Necklace I call Shelter. It reminded me of a shield, something that protects us from harm. 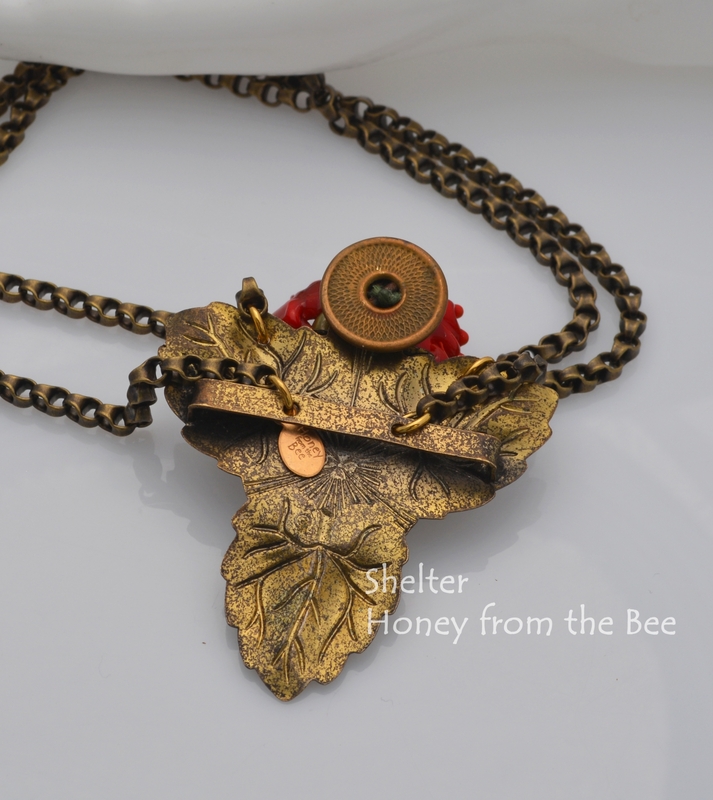 One of my Poppy series of necklaces, this one-of-a-kind piece sits just below your collar bone. About 17" around. 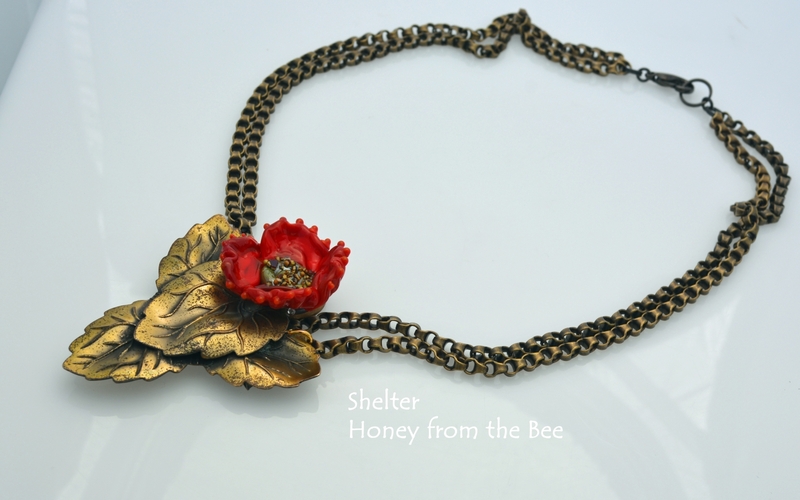 I used the brass button and some waxed Irish Linen to tie and cushion the amazing red poppy lampwork. 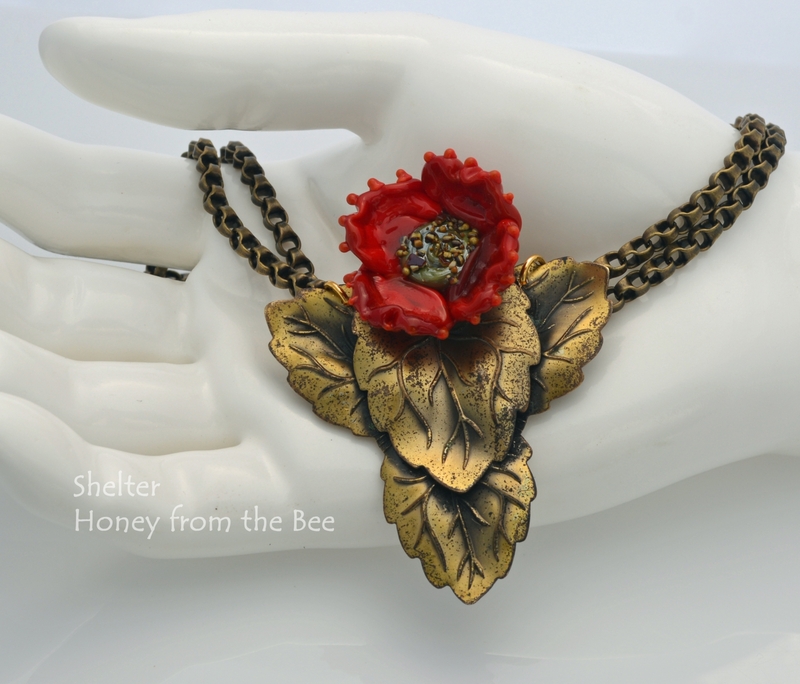 You may just love floral jewelry, but if you have a special memorial reason for buying a red poppy necklace of mine I am honored to have created it for you. This necklace would also make a very thoughtful gift. This necklace will look perfect for day into evening.